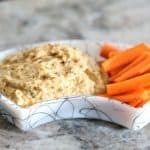 Chipotle Hummus is the perfect appetizer dip or use it to spice up any dish. 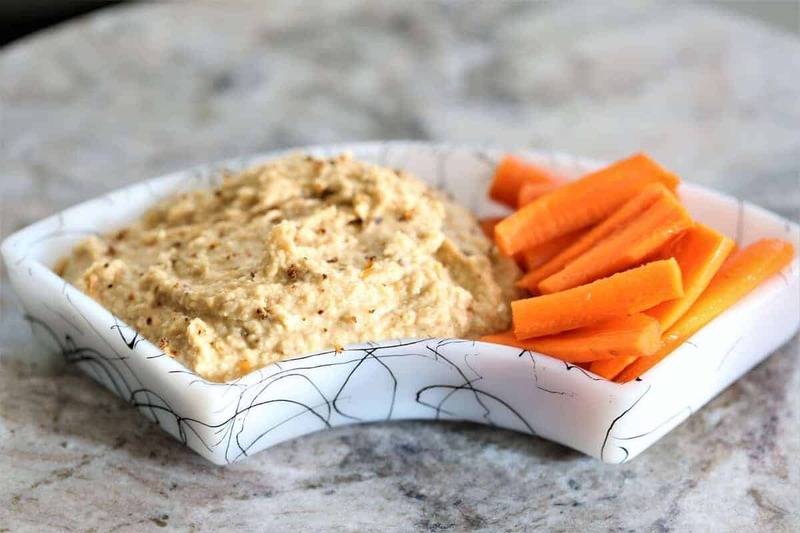 In less than 10 minutes, you can spice up any dish with this Chipotle Hummus, or serve it as an appetizer with vegetables or chips. Cashew base, garbanzo beans, garlic, chipotle spice, a little lime and you are ready to start snacking. Vegan, gluten free and dairy free. Drain garbonzo beans. Preserve liquid. Blend all ingredients in blender until smooth adding preserved liquid as needed.